Join us as we hear from a panel of Venture Capitalists on their inside perspectives. 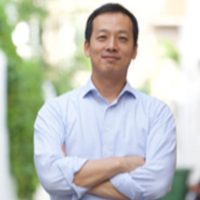 The event will start with a talk by Sam Rhee, former CEO of Morgan Stanley Asia Investment Management, who currently invests in and sits on a few FinTech companies. Following that, a panel of VC representatives including Sam, will come together for a discussion on the challenges of Venture Investing. Sam believes that “the future of financial advice and investments will be greatly shaped by technology and financial technology companies need to deepen their domain expertise and creatively solve the great problems of our times. This includes allowing each individual to prepare better their financial future and bring value to the greater society”. Beyond his passion for finance and technology, Sam has a voracious reading appetite. He enjoys outdoor sports with his wife and three children.